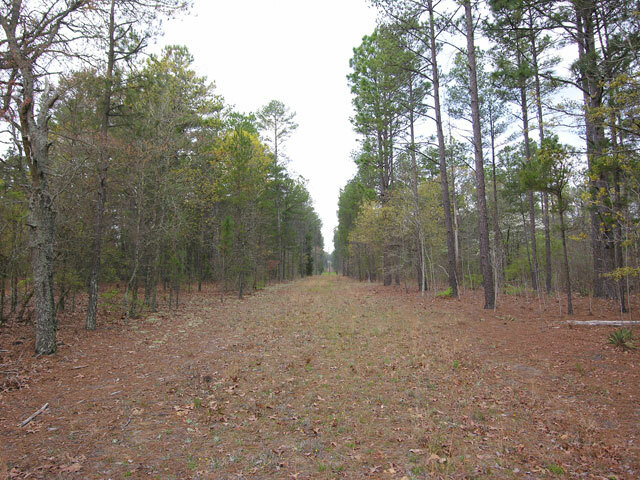 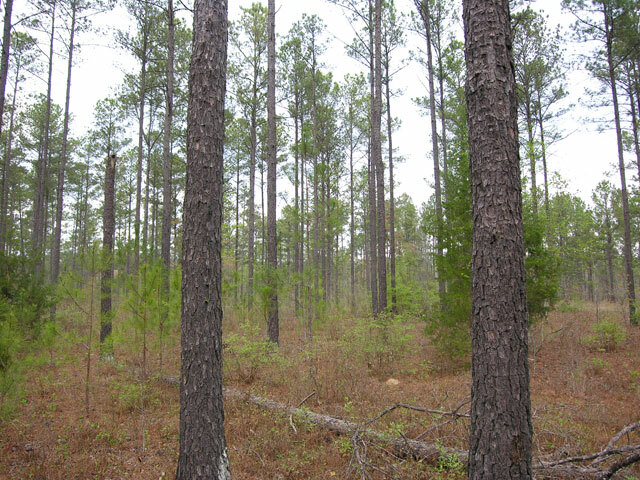 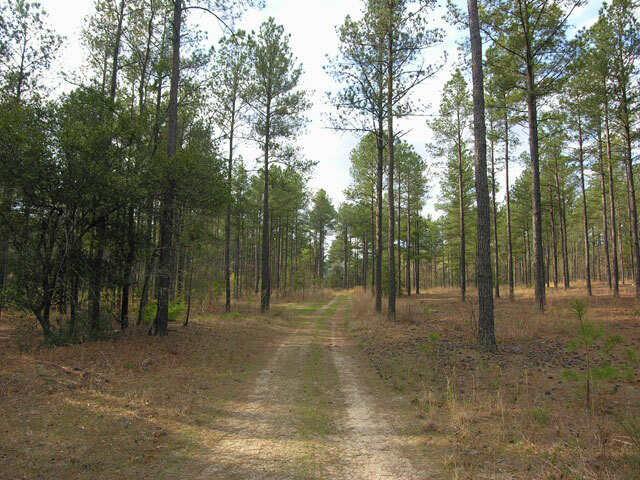 85 acres loblolly pines planted about 1983. 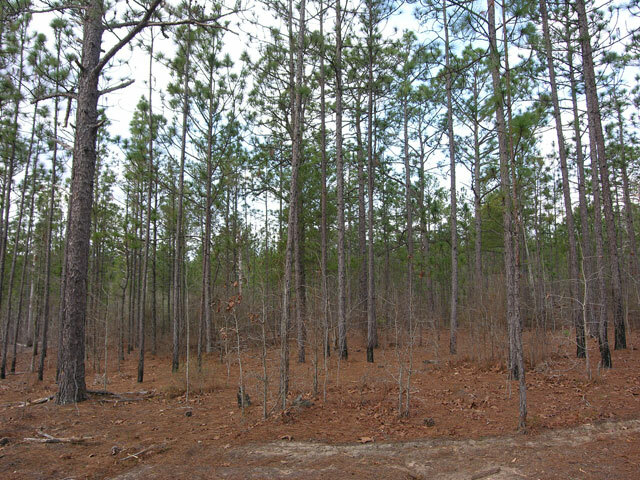 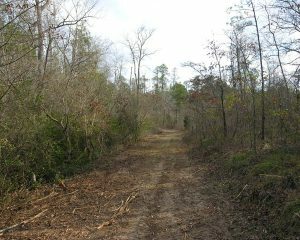 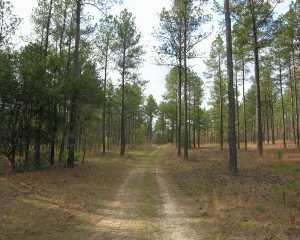 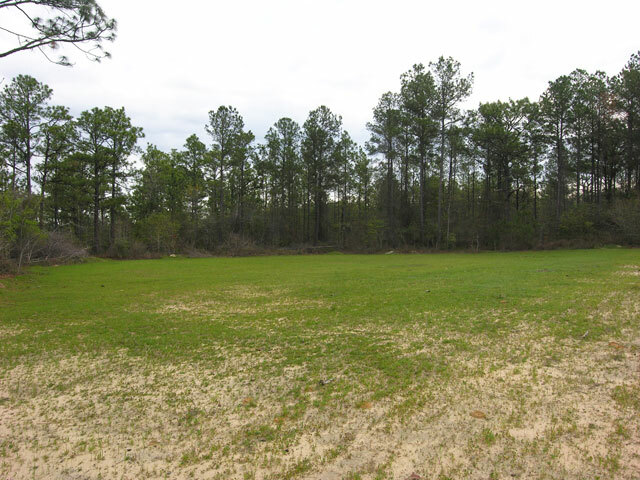 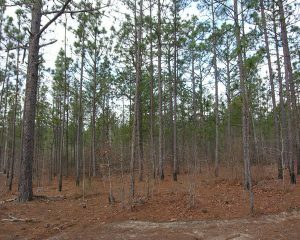 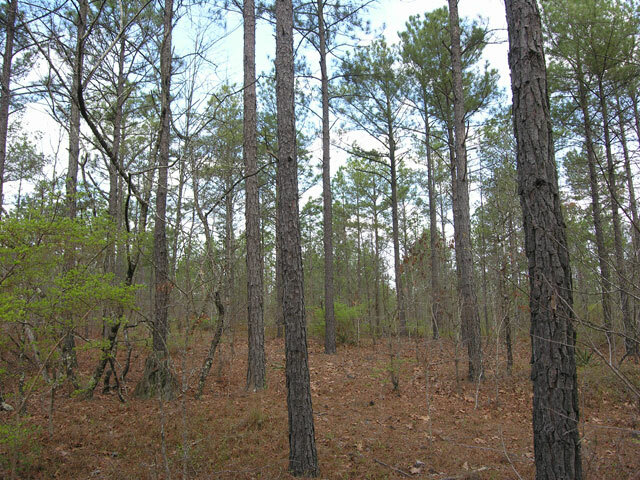 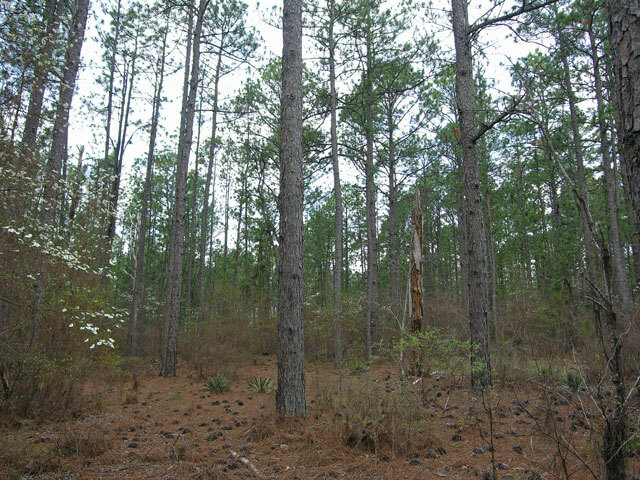 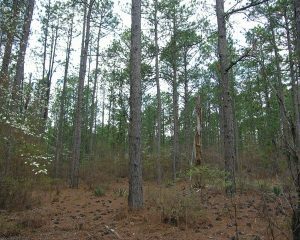 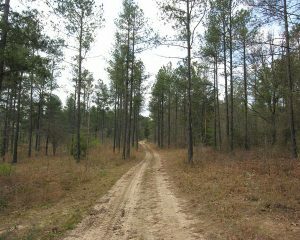 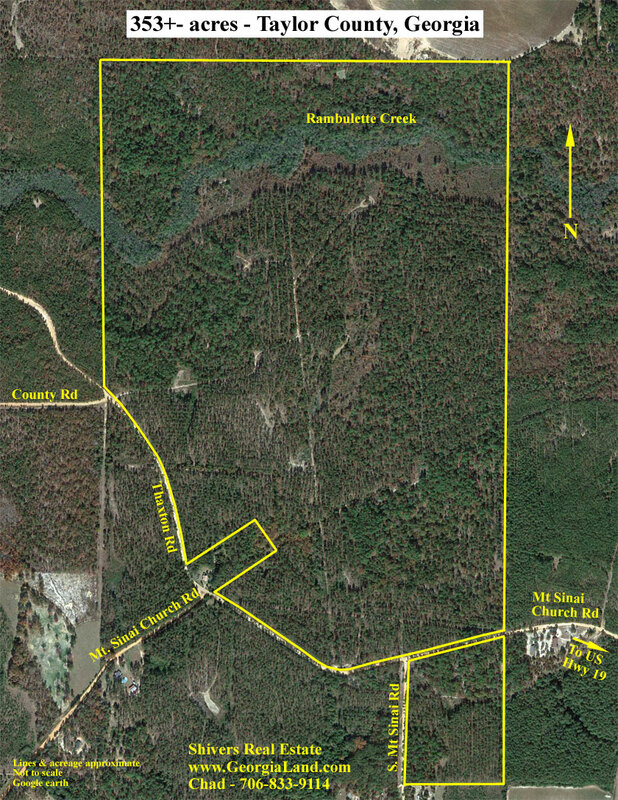 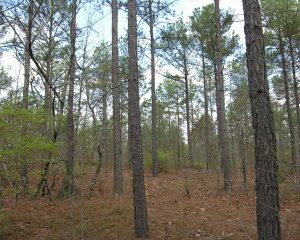 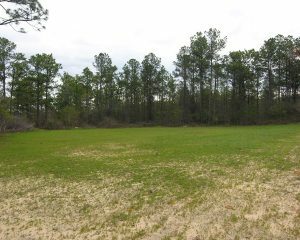 230 acres mostly older longleaf and loblolly pines. 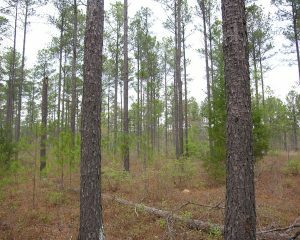 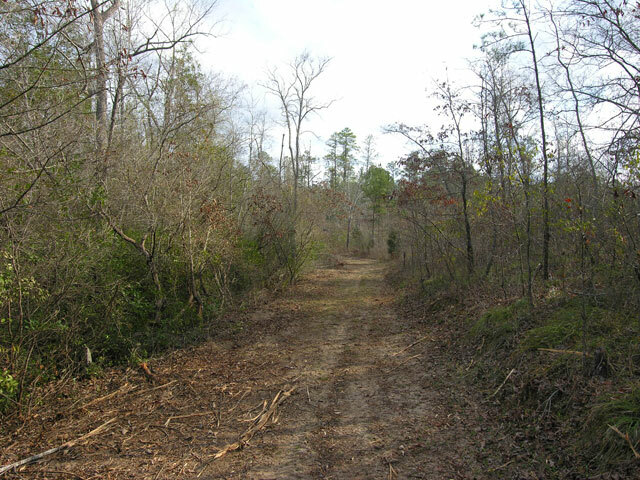 21 acres cutover about 2007. 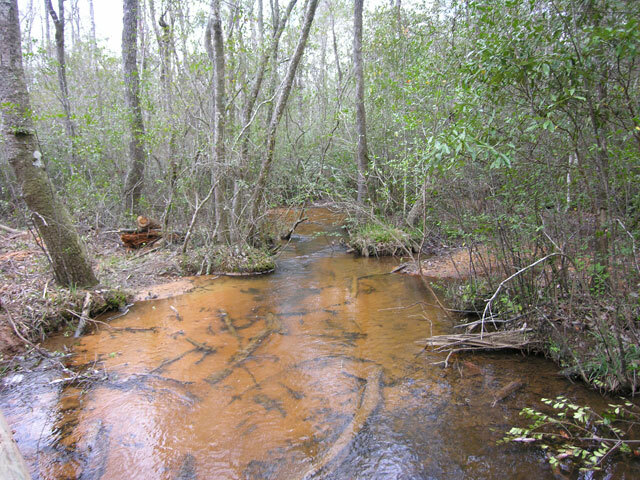 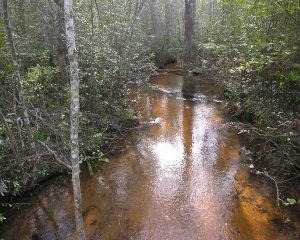 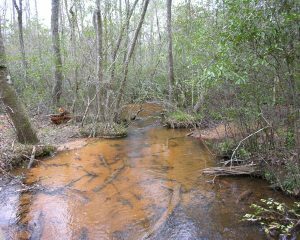 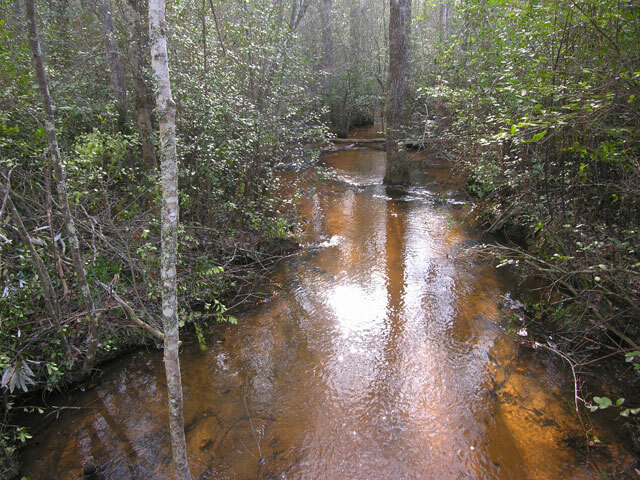 Rambulette Creek flows through the property. 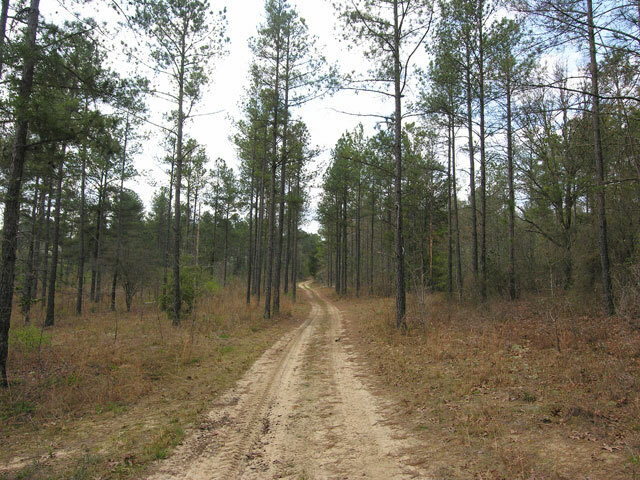 Power line right of way. 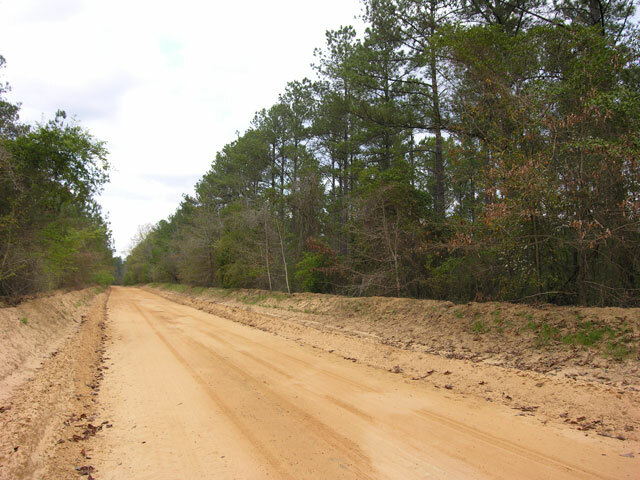 County road frontage on Mt. 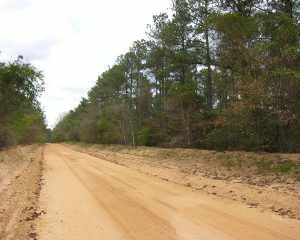 Sinai Church Road.